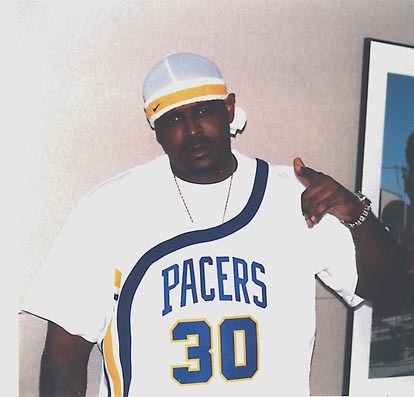 One of Yonker’s most successful artists is rapper Sheek from the Lox. Sheek, Jadakiss and Styles were the first rap group to make it big coming out of this upstate suburb. The Lox's first album “Money, Power & Respect” went platinum, which was followed up, by one more group album and three solo projects. The year 2003 has been busy for Sheek. Not only did he create his own label D-Block, he also dropped his first solo album “Walk Wit Me.” “The whole time Jadakiss and Styles were doing their solo project me and Super Mario was trying to start our own label. I was also trying to get our studio in Yonkers so we wouldn’t have to go around booking all these sessions.” The rapper now CEO spent his time off politicing for his new label until they found a home at Universal. Sheek says he learned a lot in his time about the business from being on Bad Boy and Ruff Ryder. Early in his career the group was forced to politic themselves off of Bad Boy because of money and creative differences. “As far as business we know a lot. We had to learn quickly. We may be young but we’re vets at this game.” Being a vet of the game at a certain point you have to graduate to the next level. Now as a CEO, Sheek will now be in Puffy’s position to be able to sign and develop new talent. “We have a pop chick that’s going to shock the s#!t out of people. We are not going to Hip Hop her out either, she’s really going to be on some pop s#!t. I don’t want to say who she is because the deal isn’t done but we plan to make her a part of D Block.” The most anticipated artist to come off the D Block label is the ferocious J Hood. “J Hood is up next and he’s hot. Hood is anxious and ready, and he’s young.” Sheek is pleased to see everyone doing their thing in Hip Hop. As far as his relationship with Puffy and DMX, Sheek says he rarely sees X, but they’re cool and Puffy is his man. Now with D Block he plans to go strong so that when you think about Yonker’s artists more names will come to your head other than Lox and DMX. If you liked what you read in this interview then click here and order a copy of the issue it first hit the streets in and catch all of the other great articles you missed. This maybe your last chance to catch-up on everything that's going on in the HIP-HOP game.